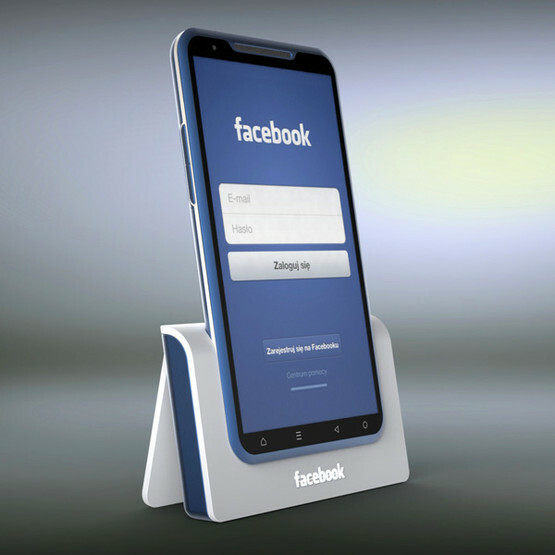 Home » Facebook » Is Facebook coming up with its own Smartphone? “Facebook is going to charge the users for using their site”, “Facebook is selling users’ personal data to make money”, “Facebook is coming up with a search engine service”, “Facebook is going to launch a music company” and now joining the ever-growing list of rumors is, “Facebook is coming up with its own Smartphone!” Facebook is not only a favorite platform for many to communicate with friends, family and market businesses; the social media giant has also become a favorite name to use for spreading rumors! There were pictures of nice blue smartphones with the Facebook logo on the front and back popping-up online for the past few days. It added fuel to the rumor that the company was producing its range of Smartphones and caused quite a stir among many users. The initial story that came out was Facebook collaborating with HTC and coming up with a new range of Smartphones. There was a speculation on the release date of “Facebook Smartphones”, though the supposed release was as early as the end of this year, the release of the phones have been ‘pushed’ to the next year. There were further reports that Facebook is developing an exclusive operating system for the phones and has recruited a group of people from the former Apple team! Apparently, the reason for introducing Facebook’s ‘customized’ phones is to boost the mobile ad campaign. Facebook’s customized mobile will be a great leeway for big advertising opportunities. Facebook has come up with the phone strategy after the statistics showing a whopping 50% of the users shifting to the mobile platform to check on Facebook. Zuckerberg has finally crushed the rumors that have been going around for a while now. CEO of Facebook, Mark Zuckerberg has denied the rumors on Facebook teaming up with HTC to produce company’s branded Android phones. Producing Facebook’s customized phones wouldn’t make much sense, he added. He scorched the rumors saying that they are not starting their own range of cell phones; instead they are going to work on developing a better integration for the available mobile platforms in the market. He talked about the innovative features Apple’s latest iOS 6 will have, once the Facebook integration gets in place. The initiative is being taken as the company feels the mobile compatibility for Facebook is basic, compared to the expectation a user has on the Facebook experience when accessing the social network through a mobile browser. Ultimately, is Facebook coming up with a customized phone and camouflaging it under the “better mobile integration” story to keep things under wrap? Are users going to have a better Facebook mobile experience in the near future? We will know in a year if it is just app integration as Zuckerberg states or if the company is coming up with their customized mobile phones! What do you think? Will the social networking giant come up with their own range of mobile phones? If so, will you want to own one? This article has been brought to you by Onlinecomcast.com a site that offers savings and current information on Comcast cable and internet. onlinecomcast.com is our website.